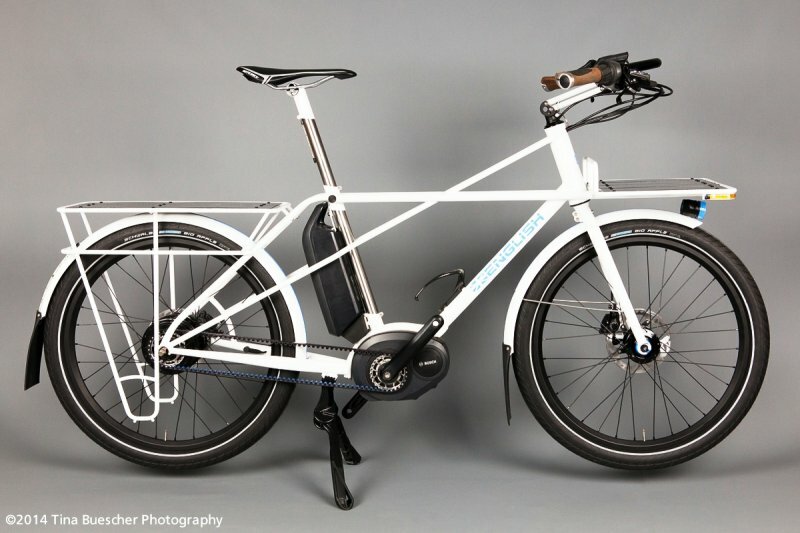 Innovative and very creative eBikes were on display at the 2017 North American Handmade Bicycle Show that recently wrapped up in Salt Lake City, Utah. 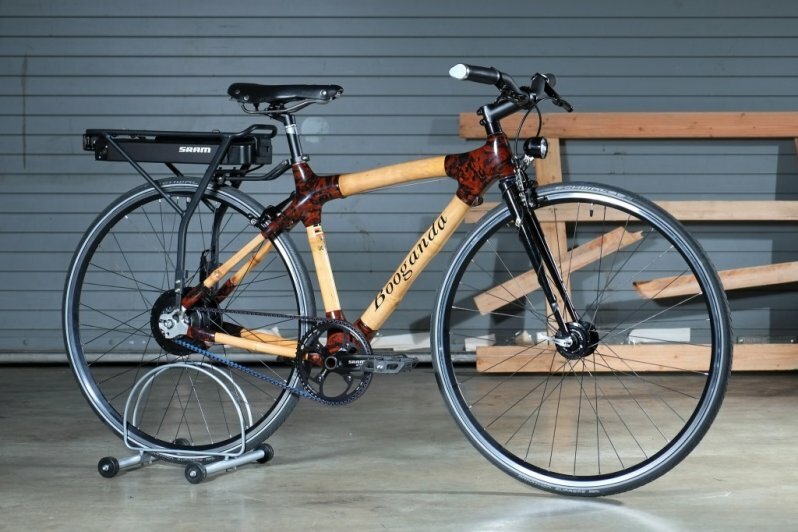 Frame materials ranged from the traditional steel, aluminium, and titanium to the exotic bamboo and wood bike frames! The eBike types ranged from elegant commuters, gravel grinder, board track racer, sturdy touring rig, and high-power off road machine. Wow, checkout this wild retro moto style electric bike from custom bike builder Peacock Groove out of Minneapolis, MN! 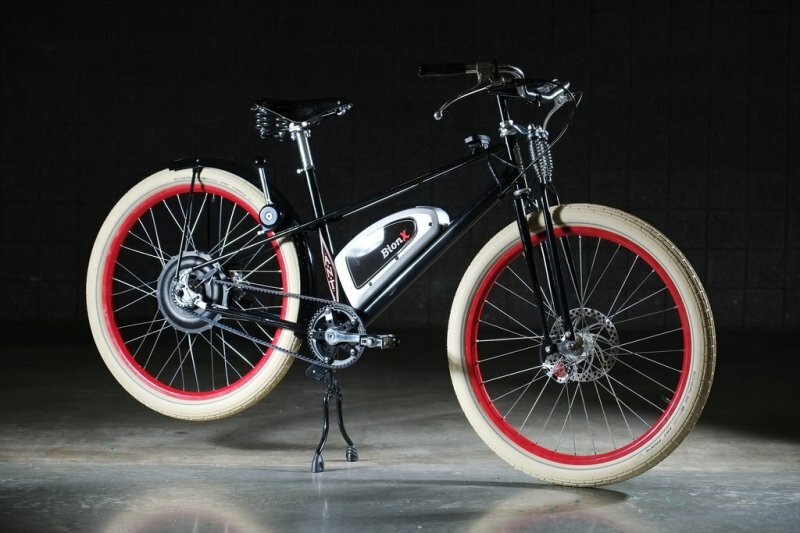 This custom e-bike features the Shimano STEPS mid drive system with the Gates Carbon Drive belt and Shimano Di2 Alfine electronically shifted internally geared rear hub. 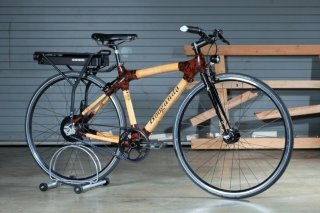 It was displayed recently at the North American Handmade Bike Show (NAHBS) in Louisville, Kentucky. 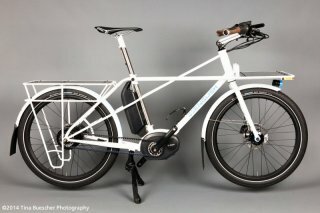 This is a a guest post from Rob English (of English Cycles), a custom bicycle builder from Eugene, Oregon. This one has been an awful lot of thought in the creating! I first started thinking about the concept a year or so ago. 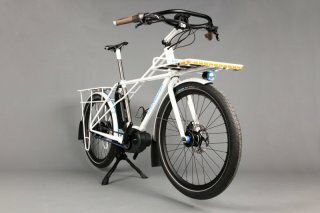 Misha (my wife) and I have been car free for over four years, and generally we have the bikes to handle most tasks. Misha has an electric assist on her bike to help with the hill when she is carrying a load, and I enjoy the extra training.